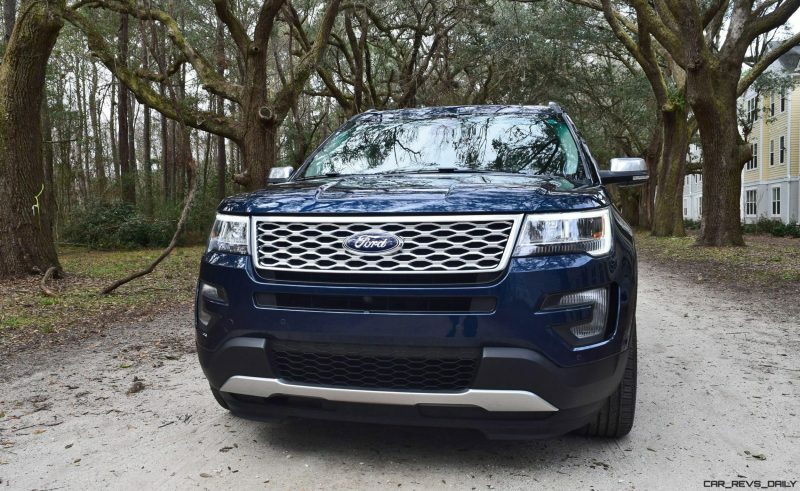 As recently as ten years ago, all you had to ask for was a seven-seat SUV. 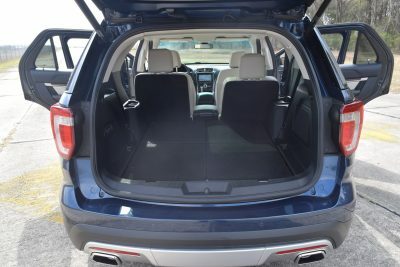 The options were pretty limited and you found your way into various full-size Suburbans or Expeditions. These days, car shoppers have to get a lot more specific. 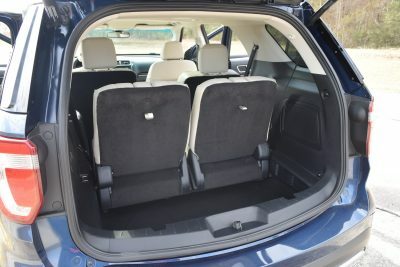 There are over 50 SUV and crossover models capable of seating seven. But they are certainly not all equally capable. 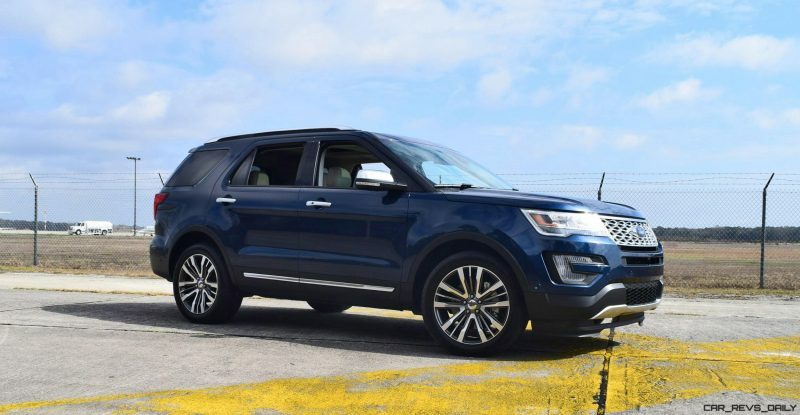 The Ford Explorer aims to be one of the largest mid-size SUVs out there – one with real seating in the third row and decent luggage room with all seats up. 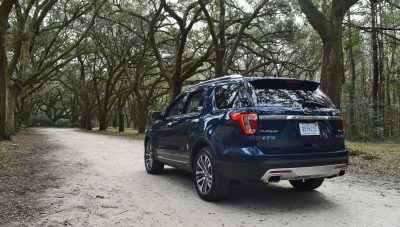 The Explorer is very-much an SUV versus a crossover — in what it can tow/haul as well as how it drives day-to-day. 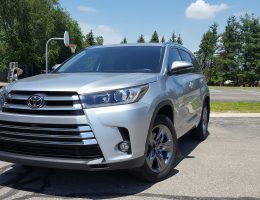 It still delivers on the SUV premise it invented 25 years ago with the new-for-2017 facelift and Platinum trim level. 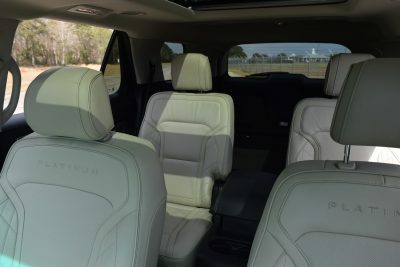 But is an LED lighting upgrade, satin chrome grille and posher cabin leather enough to make the Explorer 2017-competitive? Let’s find out with two videos and a few dozen photos. Section headings of Exterior, Interior, Performance and Price are the structure. 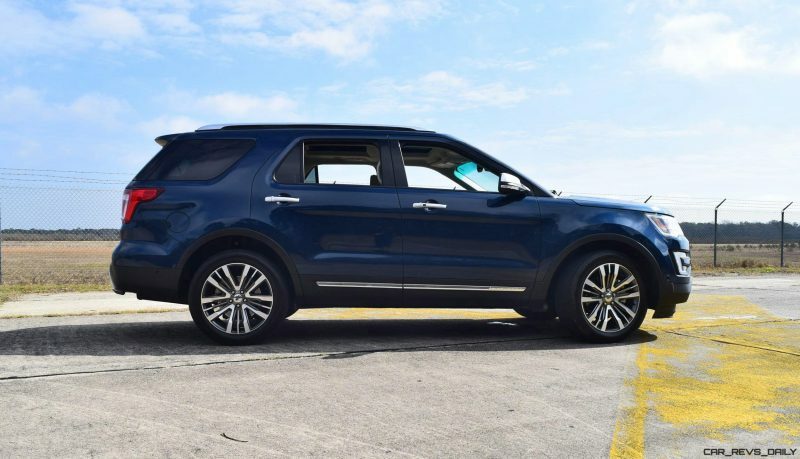 The Explorer got its much-needed facelift for the 2016 model year. New fenders, hood and headlights are the biggest revisions, but there is also a fresh front bumper and new LED optics for the brake lights. The truck certainly looks updated in traffic. 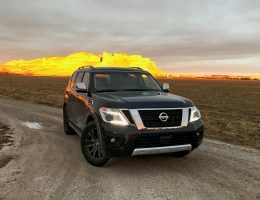 The LED DRL’s with LED lowbeam lighting are standard from the middle spec of the truck upward – and are a godsend for updating the ubiquitous Explorer look on the road. The new LEDs form a sharp and ultra-thin line of white light along the top and sides of the lamp. A sharp edge at the corner of the lamps is a legitimately fresh design idea that looks upscale and modern — while also lighting the road far better than before. 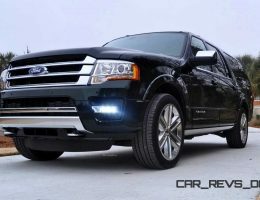 LED lowbeams help the new-look case dramatically, too, because they are so unlike most normal cars or trucks. 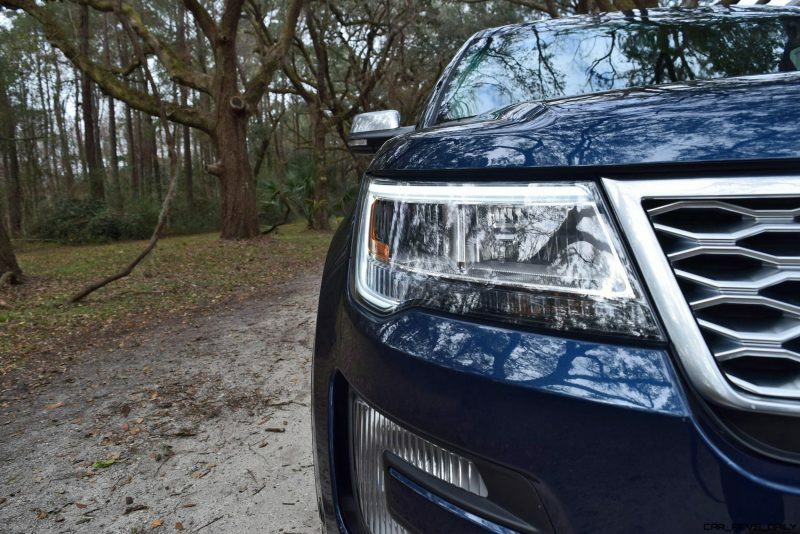 Up close to the Explorer, however, the new lights can’t overcome what is deeply familiar sheetmetal and proportions. 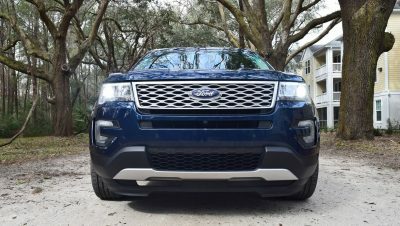 A new front bumper with integrated halogen foglamps lets things down pretty hard, though, from feeling so new in traffic. 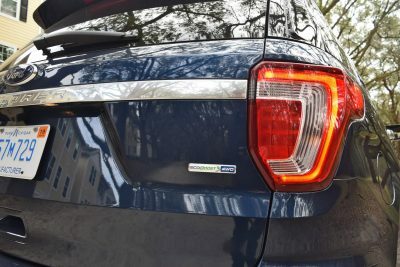 These not only don’t match the upper lights’ hue but are pretty poor at providing actual low-level light versus the latest LED fogs on other models. 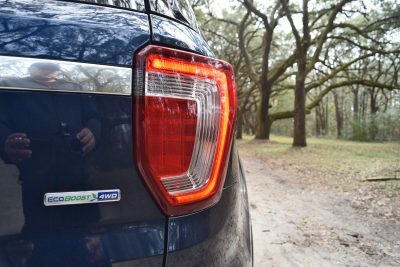 The $50k-plus Platinum trim level is new for this generation and makes some meaningful tweaks outside. 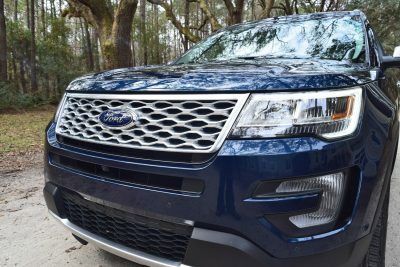 Most notable is the new satin chrome finish for the new-weave grille. 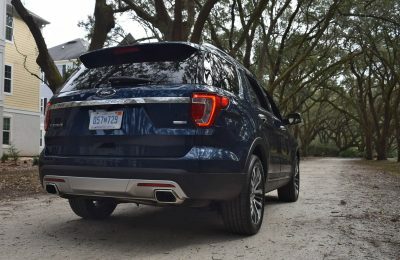 This satin pewter-ish look in place of chrome on the Limited is helpful and premium in its appeal. 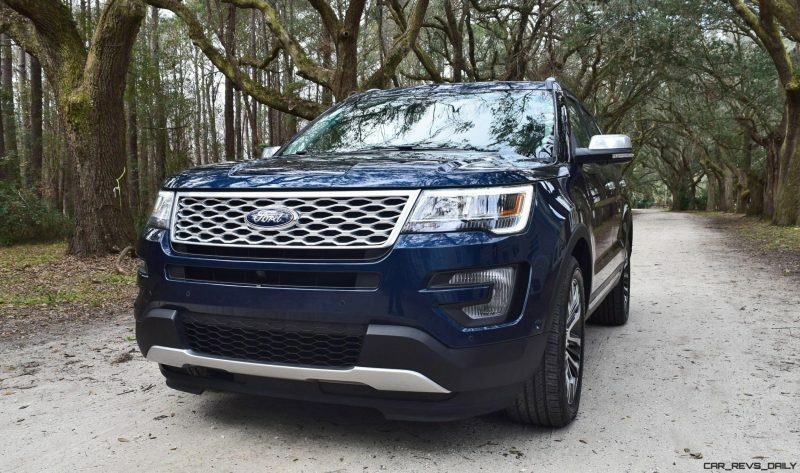 Not just the grille, either. The satin chrome covers the mirror caps, door protector element, roof rack and tailgate garnish. Only the pseudo-skidplates front and rear wear a simple painted silver that doesn’t match. 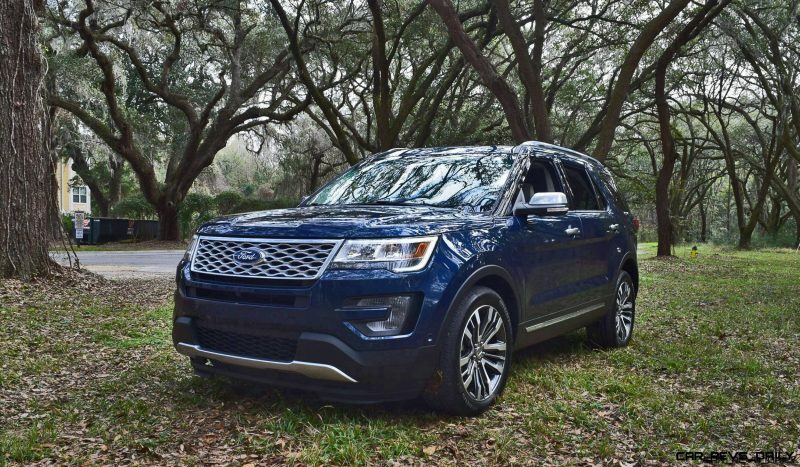 With the Platinum-exclusive 20-inch alloy design, this Explorer is about as fresh as they come for 2017. Regretfully, the Explorer revamp for this generation is extremely minor. These are not lines that look look this enticing in a few years — as they’re already tired now. Other demerits for the Explorer’s style? 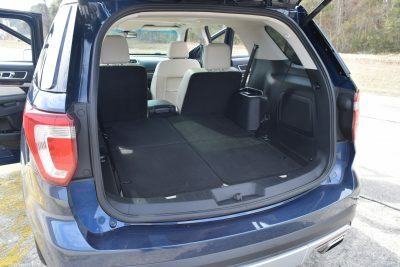 It rides extremely low for its SUV mission. Remember, this is really not a crossover like many new rivals, but a trucky and massive machine that aims to tow and offroad where-ever and whenever. The extensive black plastic lining the fenders and lower bumpers are pretty downmarket to our eyes for a flagship trim like this Platinum. Another miss is the extremely deep lower aero panel up front. 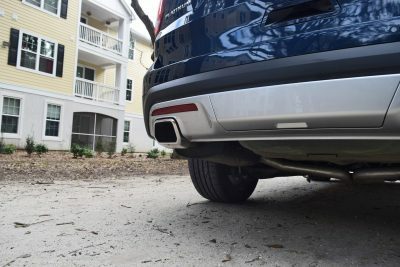 This aims to improve mileage on the highway, of course, but also discourages most offroad driving — where it will scrape like a snowplow from the word go. 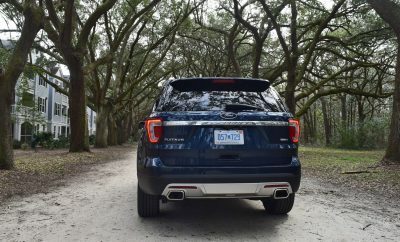 In profile and from the back, the new Explorer is forgettably familiar in its appearance. 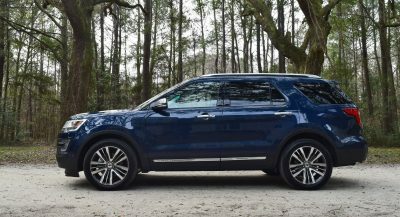 Unless, of course, you love the Explorer’s classic windowline graphic and low, wide proportions. 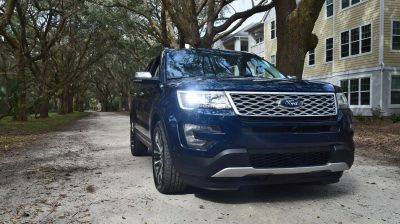 Shockingly, even the latest Tahoe looks fresher than this new Explorer. 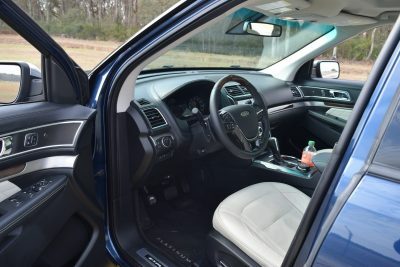 If the exterior design of the new Explorer seems barely-notable in its uodates, you will not be thrilled with the cabin. 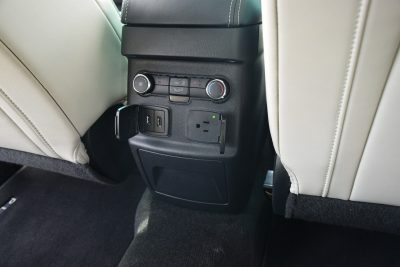 This is basically carry-over from the previous generation for its dashboard, wheel, and all the little fittings like door panels and switchgear. 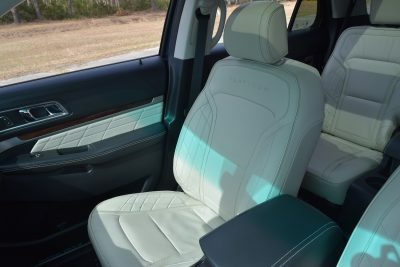 The Platinum trim brings new seat stitching and leather than is much softer than most Ford leather, but still lackluster overall. 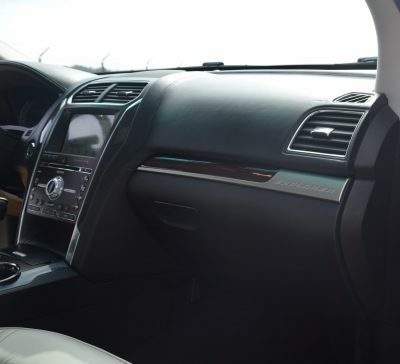 The whole dashboard is wrapped in leather too, which does feel pretty premium. 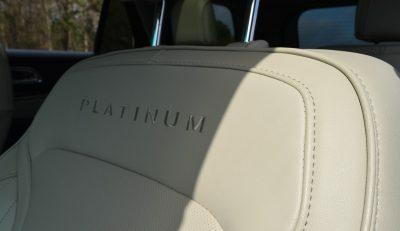 The steering wheel’s leather on this Platinum, however, is pretty embarrassing. 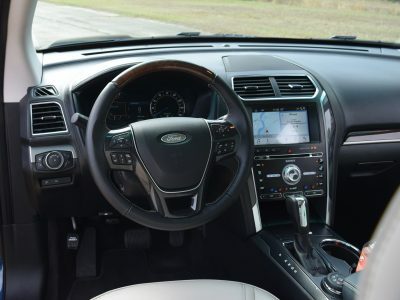 This is the grainiest, most plasticy-feeling steering wheel we’ve touched in months. 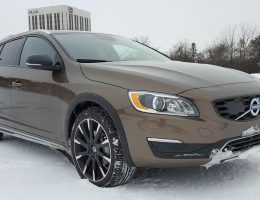 Far worse than base VW Jetta’s leatherette, for example. 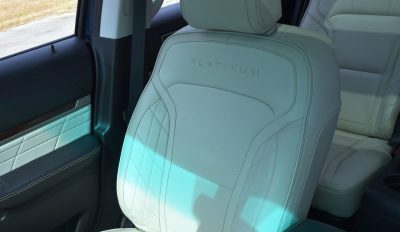 Platinum also brings standard massage seats with heating and cooling for the front row, plus heating for captains chairs in the second row. The SYNC 3 system is updated with new hardware and software to react quicker to button pushes than before. 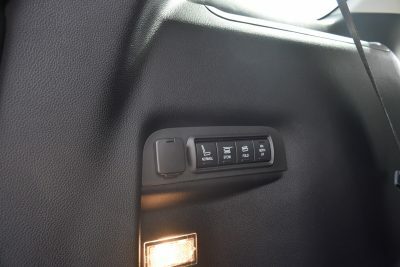 It also aims to be more intuitive in its operation — which it is. But the screen is still tilted back like a sunbather — and catches just as much glare. This makes the screen look washed-out and low-res almost all the time during the day. 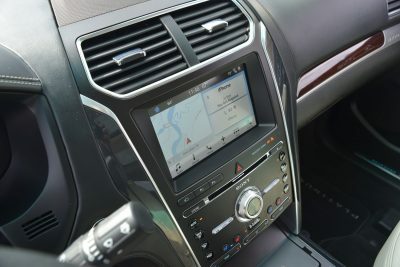 Other tech is also updated for the new generation — notably the active safety systems and mid-cluster controls that let you engage active cruise or lanekeep assist. 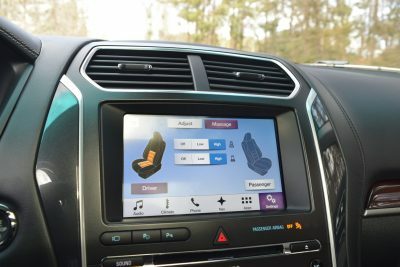 These are ostensibly the latest systems available but perform much worse than other cars with the same tech. 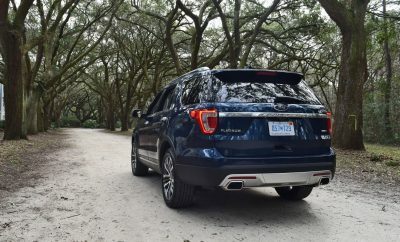 The lane-keep is late, the lane-departure alert is not able to be fully turned off, and the active cruise seems lazy and or slow in how it follows cars. Not very usable in traffic. 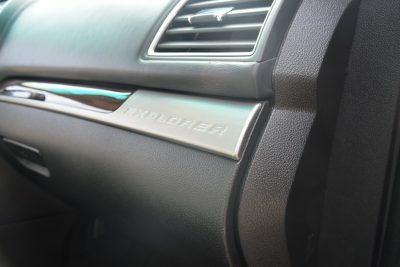 There are other major issues inside the Explorer beyond the iffy tech updates and iffier upgraded materials of the Explorer Platinum. Build quality feels atrocious from moment one as you grab the door handle. Hopping in, every touchpoint feels loose and sloppy. Engage drive with a clonk and meander around at low speeds with a deeply imprecise, heavy and vague steering wheel. Things do not improve at speed – where the car is noisy and had a few rattles from the wayback somewhere. 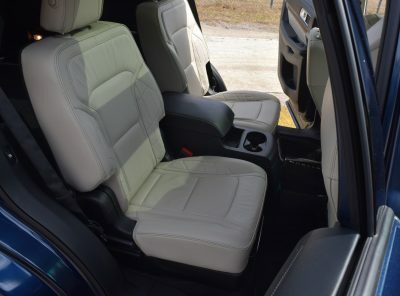 In the back of the Explorer Platinum, the captains chairs in second row are almost the exact seats from up front. They’re big and relatively comfortable thrones. 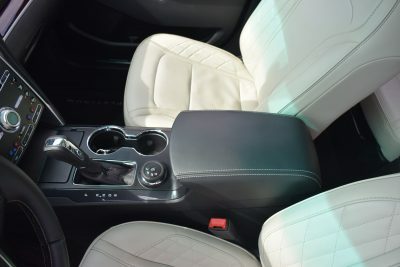 Our test truck’s $400 center console is a nice touch for grown-up dinner nights and long kid roadtrips alike. 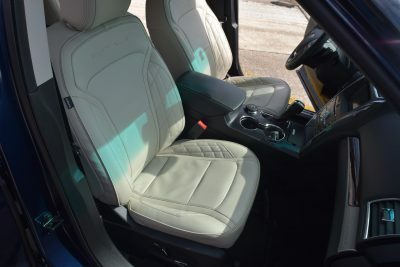 We also really love the power-operated tumble for the second row to enter the way back. 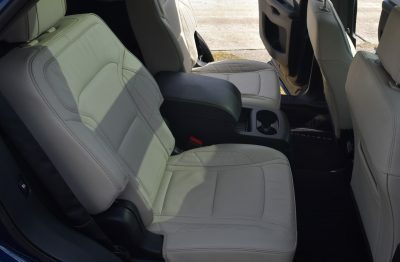 This third row is Tahoe-roomy, genuinely, with respectable toe, knee and hip room. 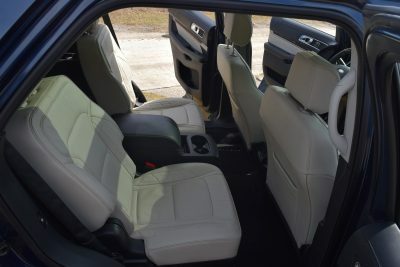 Slightly less head room but again decent shoulder space for two back there. With the captains chairs, by the way, seating capacity drops to six versus seven with a bench in second row. Major bonus! 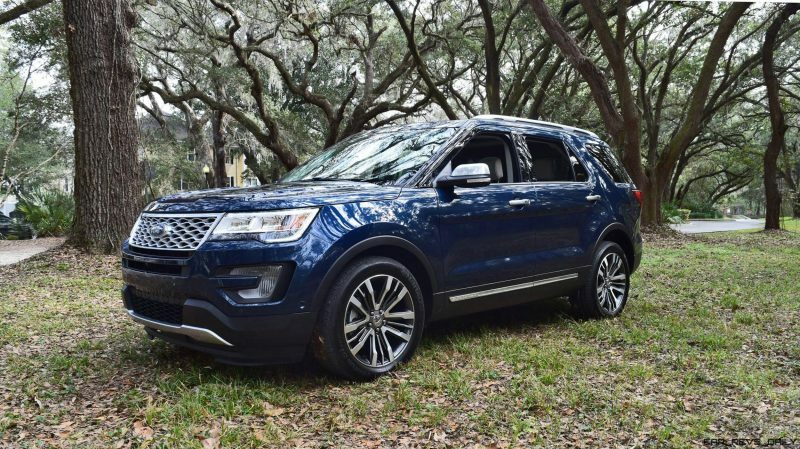 Explorer Platinum has a class-best power fold for the third row. It really does it all with one button – folded, stowed or back up is a piece of cake. You just tap and it whirs into place. 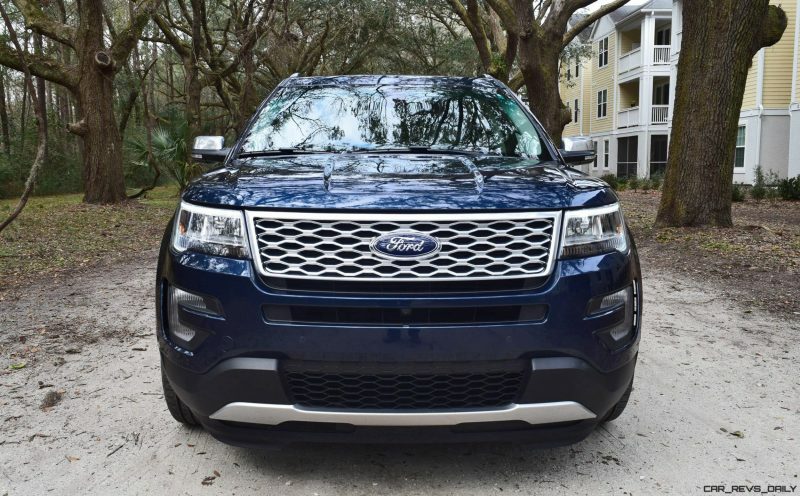 The parking systems of the Explorer are still very good. 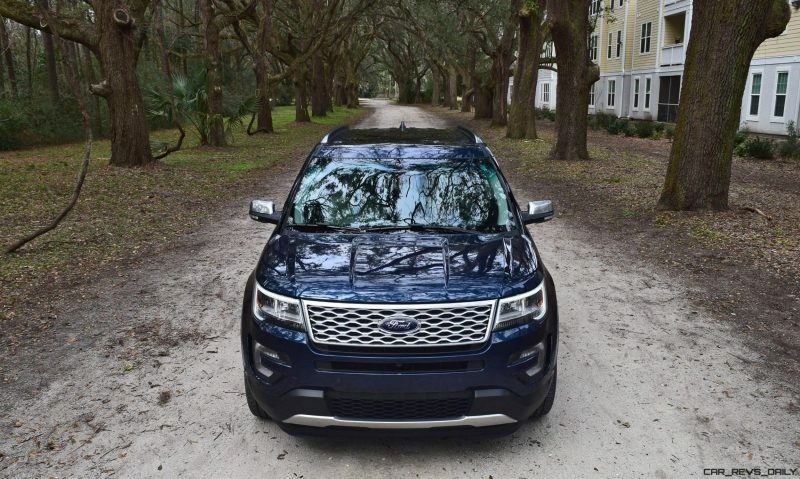 Front and rear sonar plus a higher-res backup camera make the machine pretty easy to park versus full-size SUVs like Tahoe and Expedition. 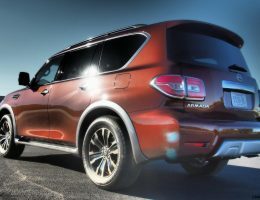 But versus the new and 800-pounds-lighter GMC Acadia? 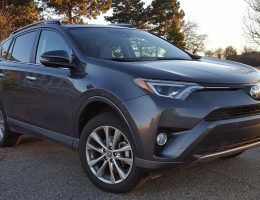 How about the latest Pathfinder or even Chrysler Pacifica? No sir. 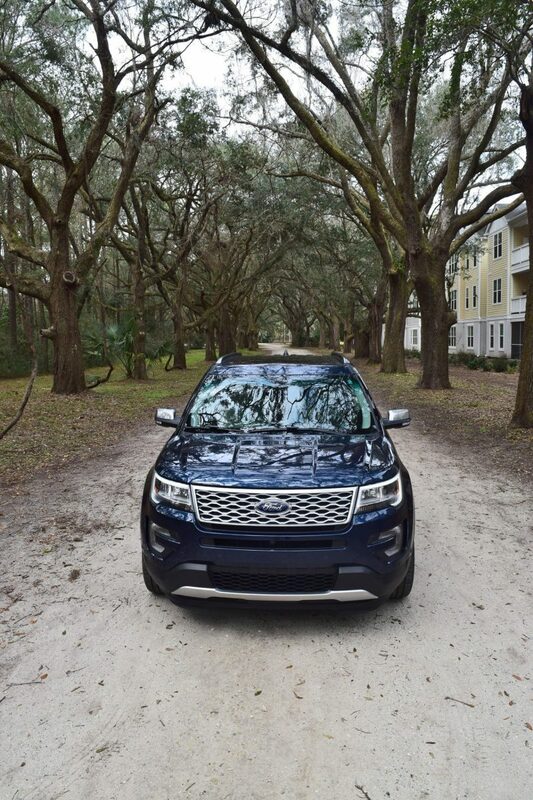 Explorer drives huge at all times — especially when parking. 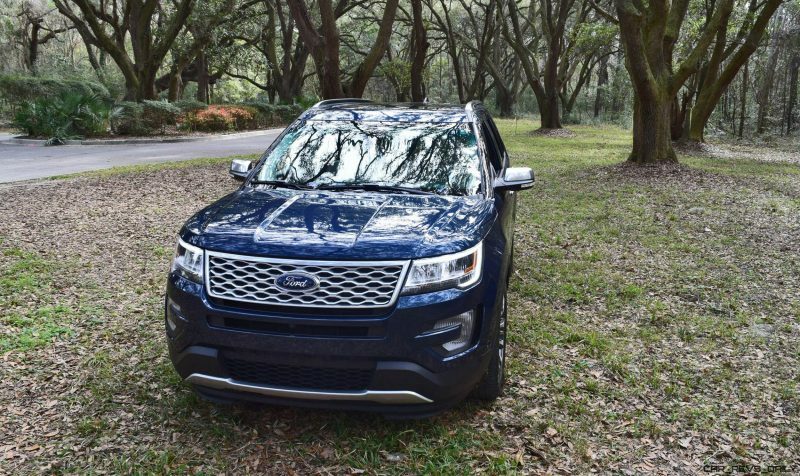 So, if this Explorer is an SUV in a world of crossovers, does it drive like a truck too? 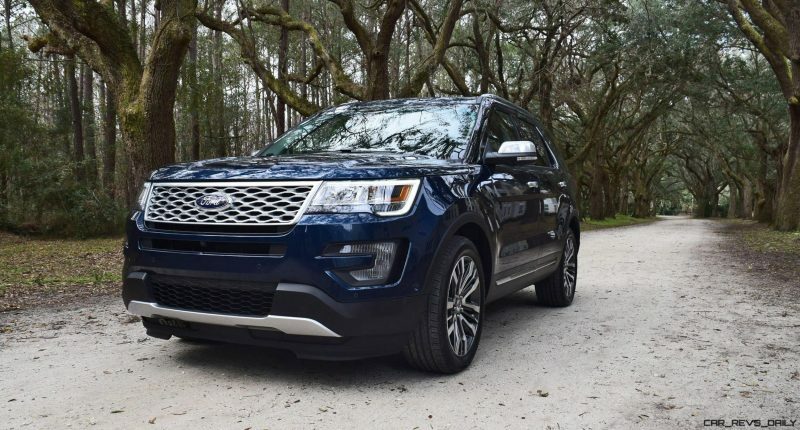 Our Explorer Platinum 4×4 has the top EcoBoost 3.5-liter twin-turbo V6. 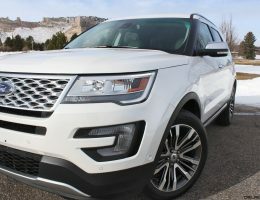 We adore this engine and loved how fast it felt a few years ago when testing the Explorer Sport. But after a few years, this engine seems to be defanged. 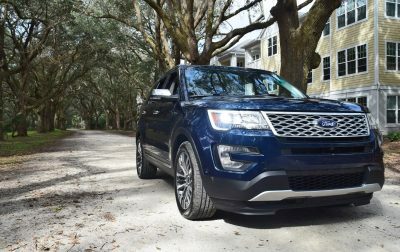 Definitely power to get the Explorer up to speed — but with sprints to 60-mph that are barely below an estimated 7.5-seconds. 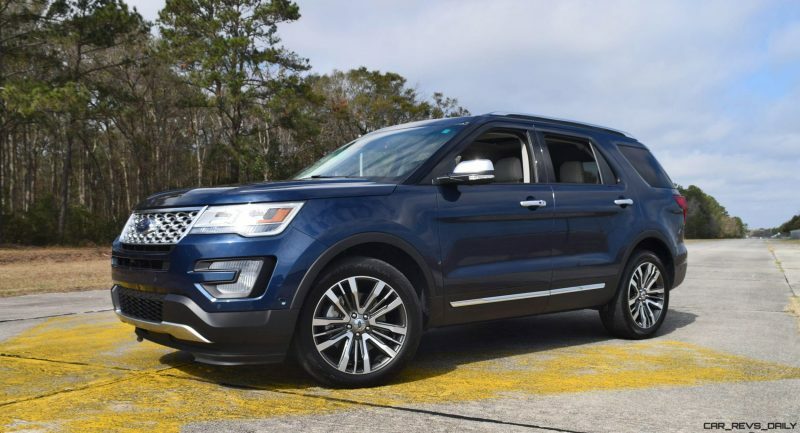 The new Explorer offers a turbo four or standard V6 engine options as well — but for those who haul and tow, the EcoBoost is almost mandatory in our book. 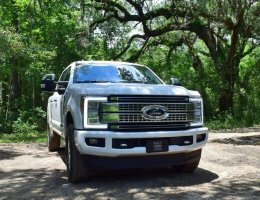 How could truck with 365 horsepower feel uninspiring on full throttle? Not sure. 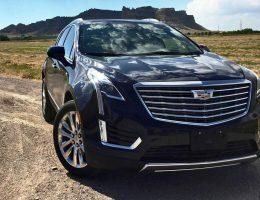 The six-speed automatic takes much of the blame – it is a seriously old-school unit that needs a huge shove to downshift or pass. And generally prefers not to be hustled. Same for Explorer around corners. 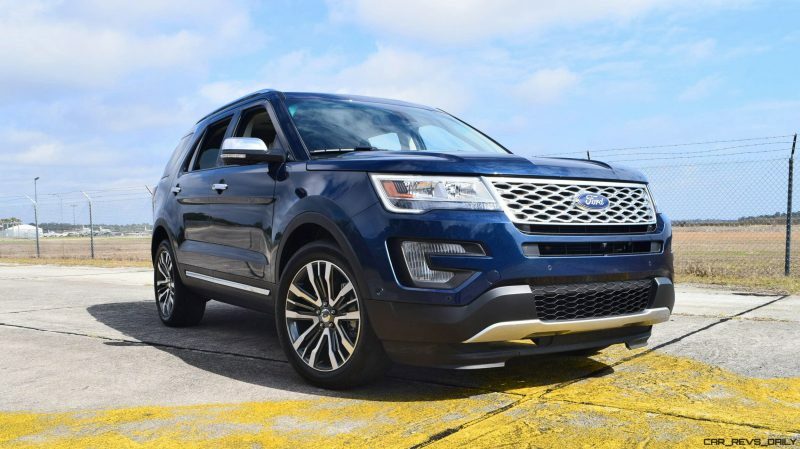 The Platinum trim has a “sport-tuned” suspension that is different from standard Explorers, and likely shared with Explorer Sport – sans that truck’s details like wider anti-roll bars. 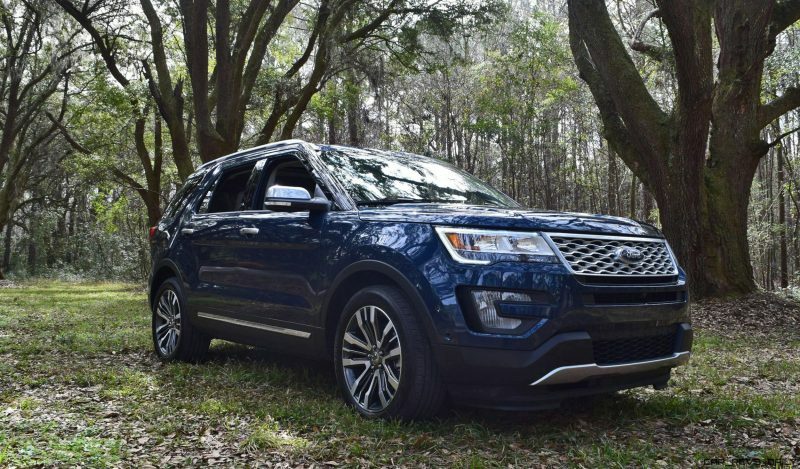 Explorer Platinum is a handful around corners. The steering is vague and heavy and slow, while weight transfer is everpresent in big bends. Body roll and dive under braking are also fairly shocking. Just a very old-fashioned drive manner, to be honest. 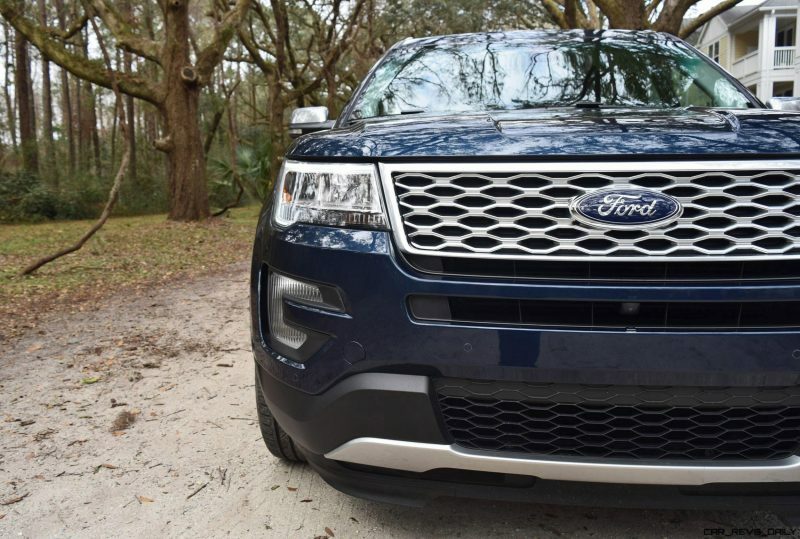 And somewhat less fun than body-on-frame SUVs, in honesty. 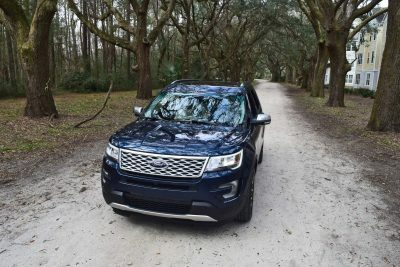 All this might be fine if the Explorer were really affordable. And some certainly are. 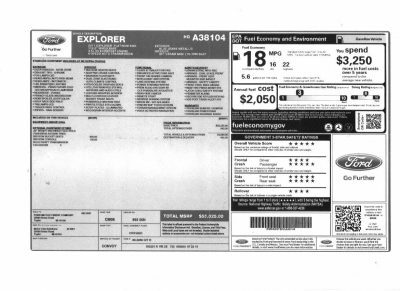 The new XLT Sport trim level looks super cool with pricing in the 30s. 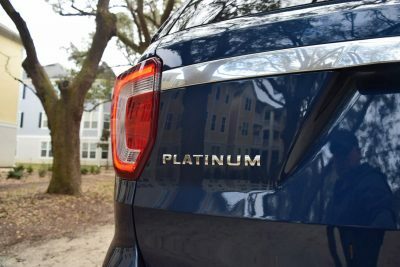 But this Platinum seems like seriously poor value with its $55k sticker. 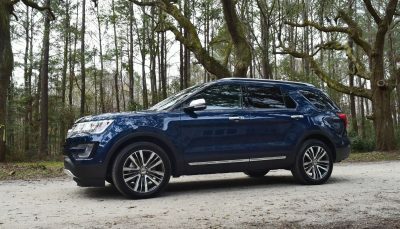 Its 5000-pound max tow rating is far above Chevy Traverse but is matched by the much more carlike Highlander. 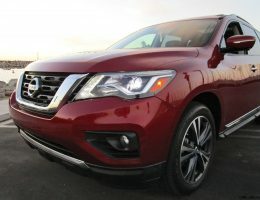 The new Pathfinder or Durango beats these with 6000+ pound tow ratings that nearly matches the 6600-pound tow rating of the Expedition. 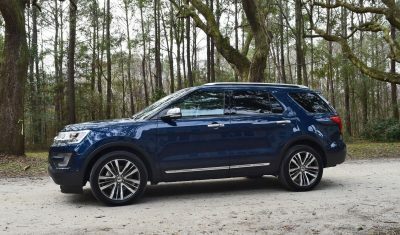 The Explorer has official MPG numbers of 16/22 — which is pretty lousy indeed. 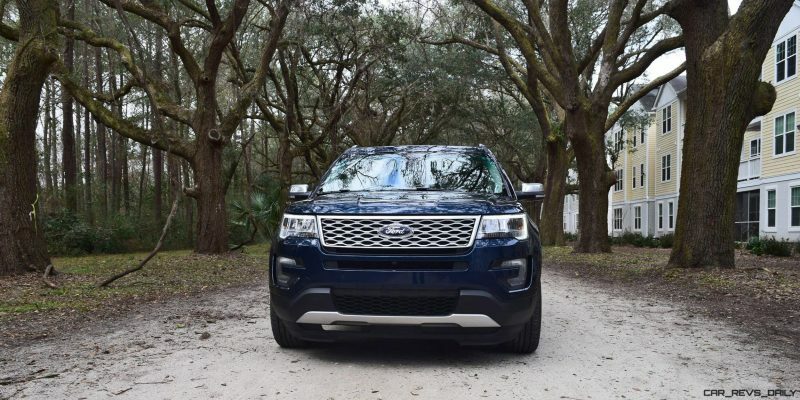 This review was full of pretty faint praise for the new Explorer. It seems like we really had it out for the machine — but nothing could be further from truth. 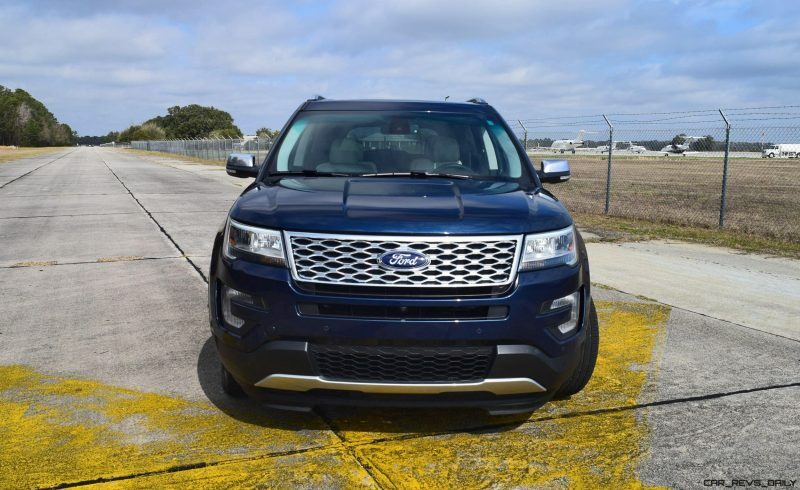 We even made these very labor-intensive animated flyarounds of the new Explorer in all its exterior colors. 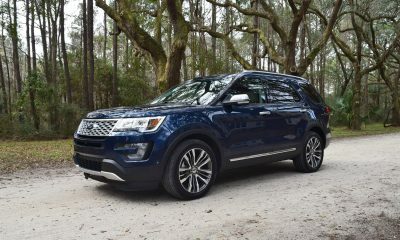 We’ve been a fan of the Explorer since the early 1990s, when we loved its everyman appeal and fun-to-drive feel. 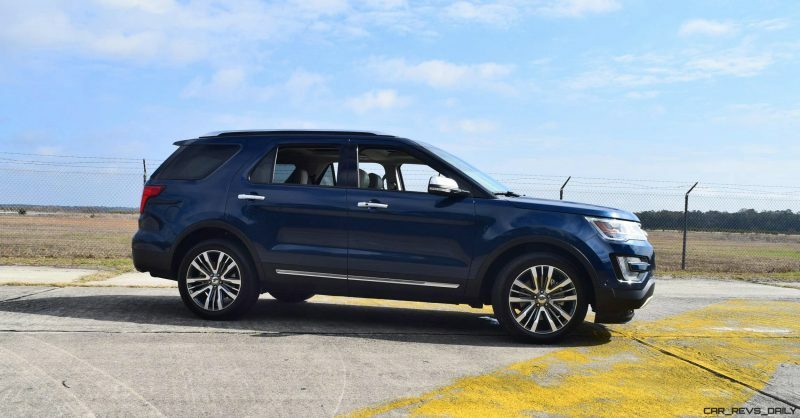 Yet also a capable family machine and all-weather hero! 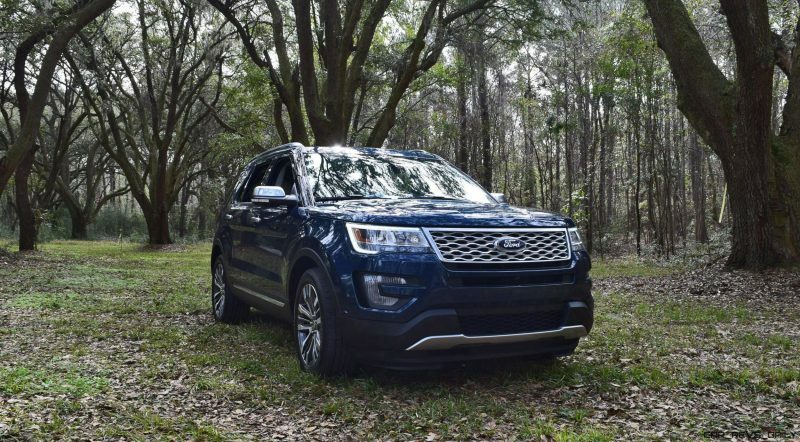 This generation Explorer is certainly still everywhere on the roads. 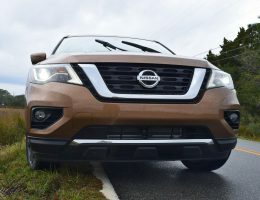 But its front-drive origins to the 4×4 system, heavyweight chassis and shoddy perceived quality mean there was no fun to be had on this outing. 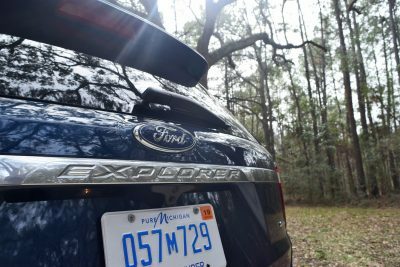 Yes, Explorer is still a rockstar for long road trips with kids/dogs/luggage along for the vacation. 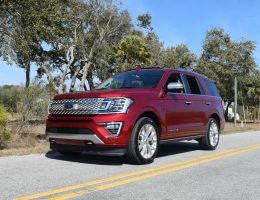 In 2017, however this SUV is neither as truck-capable as the Expedition nor as easy around town as its crossover rivals. 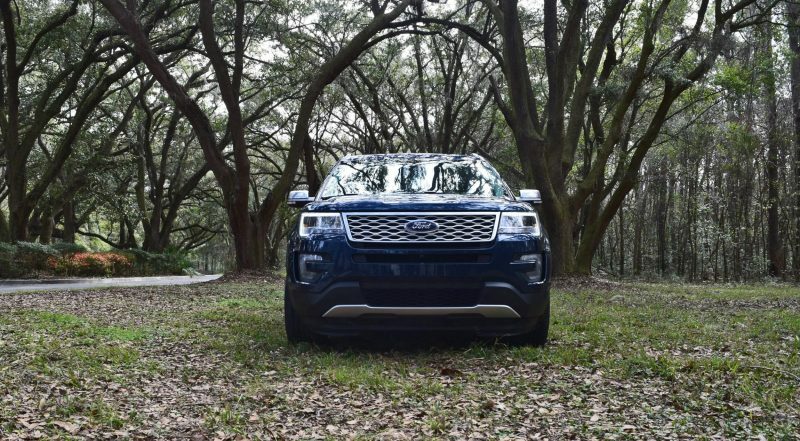 We hope when the next Explorer arrives in a few years that it can reclaim some of its classic traits. 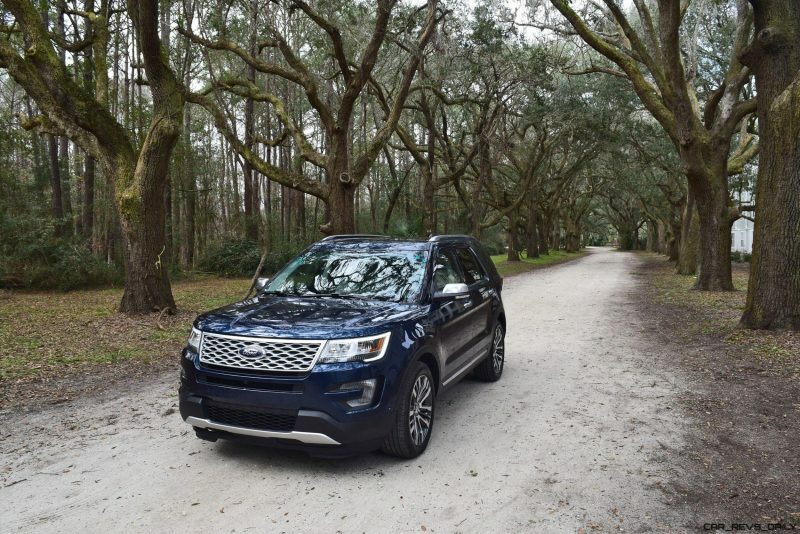 Until then, there are much better ways than Explorer to get three rows of seats and 4×4 grip.